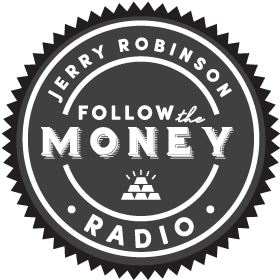 On today’s show, economist and FTMDaily.com founder Jerry Robinson is joined by one of America’s top quantitative minds, Meb Faber. Faber is the founder and Chief Investment Officer of Cambria Investment Management and is the author of several books and white papers on the topics of investing and trend analysis. Later in the program, Jerry Robinson breaks down all of the the basic stock market sectors in the S&P 500 index and explains how he personally uses Faber’s sector ETF rotation strategy to consistently beat the markets. 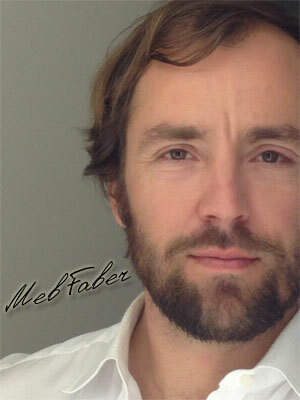 MEB FABER is a co-founder and the Chief Investment Officer of Cambria Investment Management and currently manages Cambria’s ETFs, separate accounts and private investment funds. 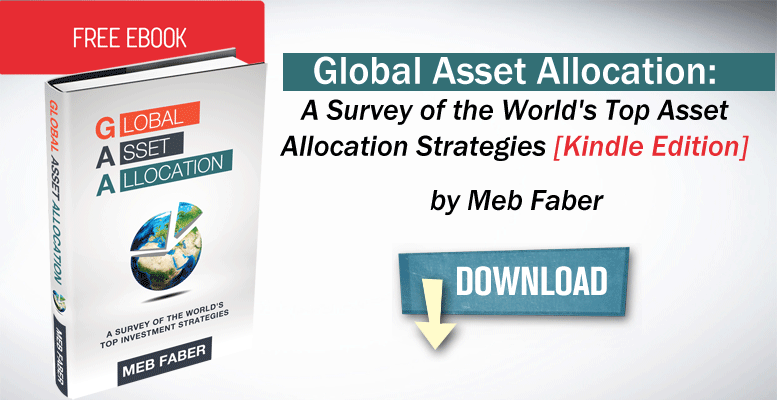 Faber has authored numerous white papers and several investment books: Shareholder Yield, The Ivy Portfolio, and Global Value. He is a frequent speaker and writer on investment strategies and has been featured in Barron’s, The New York Times, and The New Yorker. In today’s interview, Faber provides his latest insights on the global financial markets and shares where he is investing his own money. In addition, Faber talks about the recent Chinese stock market rally and explains his popular sector ETF rotation strategy that has been shown to beat overall market returns 70% of the time. A few years ago, I stumbled across an interesting white paper entitled Relative Strength Strategies for Investing written by Meb Faber of Cambria Investment Management. The paper demonstrated a powerful (but simple) investment strategy that outperformed the typical “buy-and-hold” strategy nearly 70% of the time. Faber’s research, which was based upon 80+ years of stock market data, revealed an astoundingly simple way to beat the market. Put simply, the strategy involves buying sector-based ETFs that have recently outperformed their peers. Instead of simply buying an S&P 500 index fund, like SPY, this strategy shows how to beat the return of the S&P by investing in the underlying sectors displaying the most relative strength. The S&P 500 Index is composed of the above nine sectors. Of course, some sectors outperform others each month, each quarter, and each year. Faber’s sector rotation strategy is quite simple. The strategy basically invests in the top 1, 2, or 3 sectors based upon trailing total returns including dividends. By focusing your investments into the top performing sectors within the S&P 500, you are more likely to own more of the leaders and less of the laggards in the stock market. This, in turn, can boost your returns if the current uptrend continues in your selected sector(s). Faber’s strategy is also very flexible in that you can invest in the top 1, 2, or 3 sectors and you can rebalance them every month, quarter, six months, or every year. So, it can suit most people’s schedules and temperments. If you choose to only invest in the top performing sector, then you would basically invest 100% into that sector. And if you choose to invest in the top three performing sectors, your investment would be divided evenly into thirds, that is 33% invested in each of the top three sectors. How often do you rebalance the portfolio? That is up to you. You can do it every month, quarter, six months, or once a year. Faber’s research does reveal, however, that certain timeframes are more ideal than others. As you can see, it is a very simple investment strategy that is easy to implement and has historically beaten the underlying index returns 70% of the time. If this simple sector ETF rotation strategy sounds interesting, I urge you to download and read Faber’s 22-page White Paper here. It’s a quick read and contains some interesting insights, especially regarding how to optimize the portfolio for the best possible returns. Also, you should know that Faber’s paper is based upon a different index than the S&P 500. But that’s okay, as the strategy can be applied not only to any typical stock index, but to foreign stock markets and other asset classes. 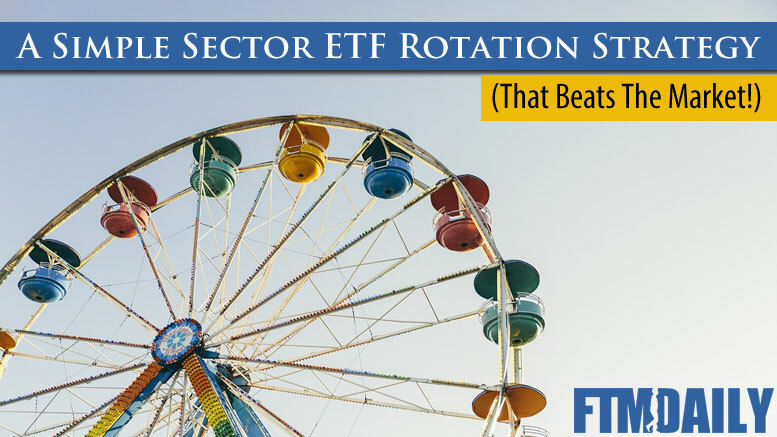 NOTE: I have personally been using this sector ETF rotation strategy for nearly two years and have been very pleased with the results. I personally choose to rebalance my sector ETF investments every quarter and am now sharing which sector(s) I am buying with our FTM Insiders and Platinum member community. 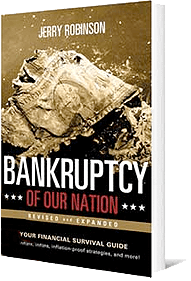 If you would like access, you can learn more here.